Another Galaxy J3 variant arises. The Samsung Galaxy J3 Top received both its Bluetooth and WiFi certification. The smartphone runs on Android 8.0. Last week we reported about two new trademarks from Samsung for their Galaxy J-series, among them was the Galaxy J3 Orbit. 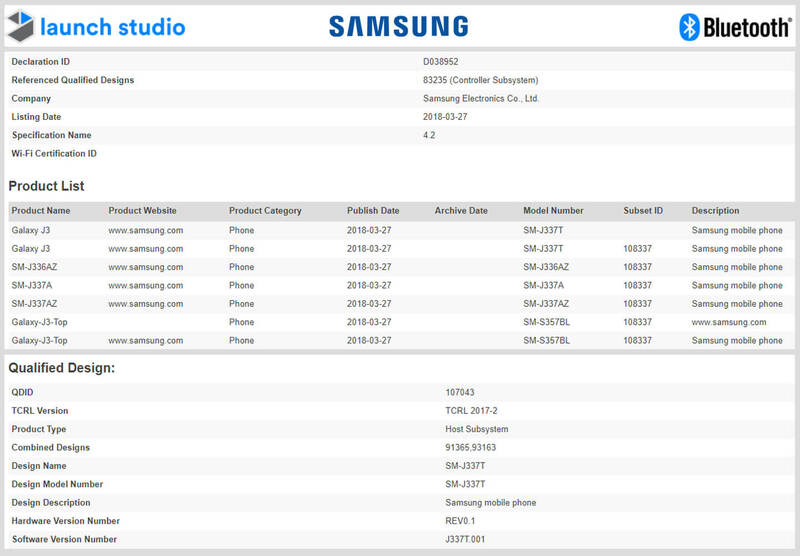 A week earlier, we reported about the Galaxy J3 Star, this US model showed up in the Geekbench database. Today we stumbled upon a Bluetooth listing of another Samsung Galaxy J3 2018 model, the J3 Top. The phone with model number SM-J337T / SM-J336AZ / SM-S357BL received its Bluetooth certificate on March 27, 2018. The product names mentioned are Galaxy J3 and Galaxy J3 Top. 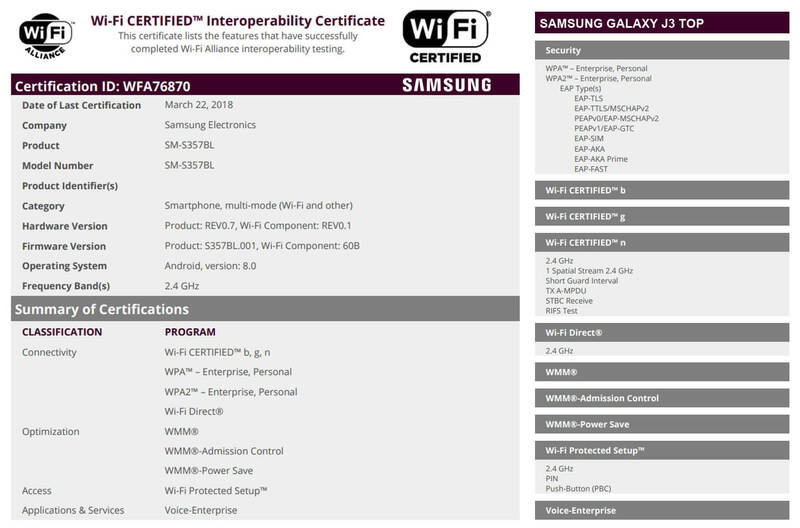 After a short search it turns out the same model also received its WiFi certification on March 22, 2018. Good news, the smartphone runs on Android 8.0 Oreo. The same model already appeared in the GFXbench database a while ago. The benchmark revealed the smartphone will feature a 5-inch HD display and will be powered by a 1.59Ghz quad-core Exynos 7885 processor with 2GB of RAM. The Exynos 7885 is also used by the high-end Galaxy A8, however here it contains an octa-core processor with 4GB of RAM. Another benchmark listing showed the use of another processor, the Exynos 7570 with 2GB of RAM. It may be possible Samsung has been testing which processor achieves the best results. According to the benchmark, the Exynos 7885 scores significantly higher points. In addition, the Galaxy J3 Top will incorporate 16GB of storage memory and features a 8 megapixel camera and a 5 megapixel front camera. The new entry-level smartphone can be introduced any time soon. 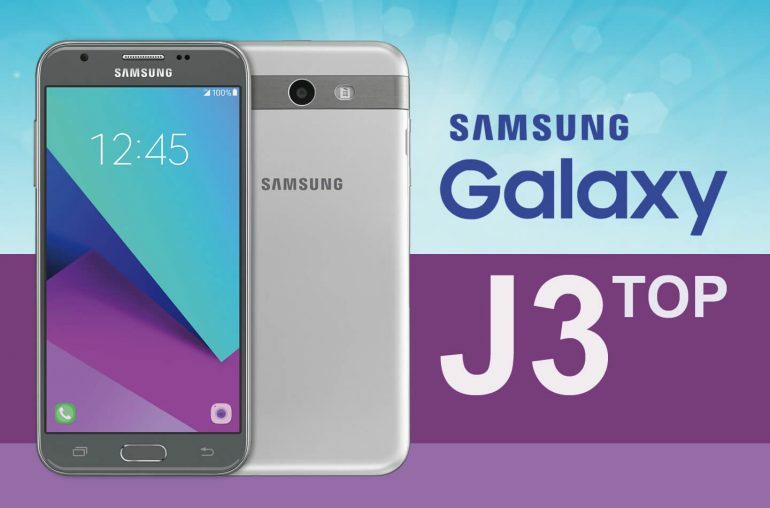 The Samsung Galaxy J3 Top is likely a name that will be used by one certain US carrier. Which carrier is difficult to say at this point. At this moment it is still unclear how the Galaxy J 2018 series will look like. Last week we discovered a WiFi certification for the Galaxy J8 2018, suggesting Samsung will change the name of its J-series, just like they did with the A-series a few months ago. However, the Galaxy J3 is part of the old-naming structure. I guess we will have to wait for another leak or an official launch before we will finally know. The Bluetooth listing can be seen here, the WiFi Alliance listing here.